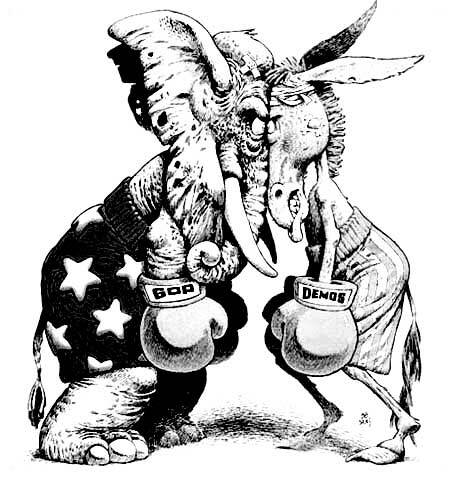 What do Santa Claus, Uncle Sam, the Republican elephant and the Democratic donkey all have in common? 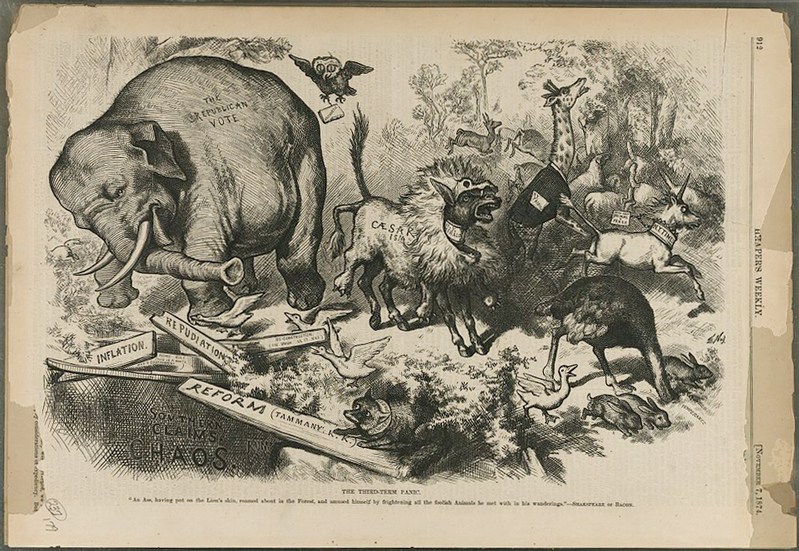 They were all the creation of cartoonist Thomas Nast. Of course Santa had been around for centuries in the guise of St. Nick and the Democratic donkey had been around since Andrew Jackson's time, but it wasn't until Nast seized on them in the 1870's that they developed the modern conception we have of them today. With the political season upon us, I thought it may be a good time to take a look at how majolica manufacturers have represented Nast's symbols of the two main American political parties, the elephant and the donkey. First we'll take a look at the symbol of the grand old party, the Republican elephant. 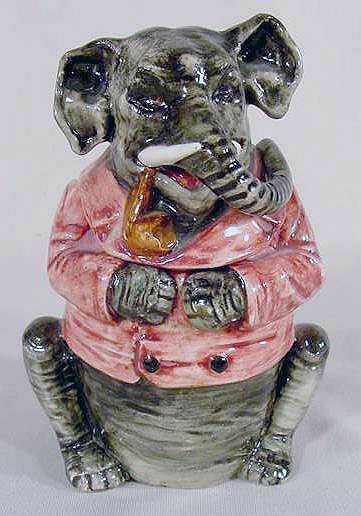 There are no lack of representations of the elephant in majolica. 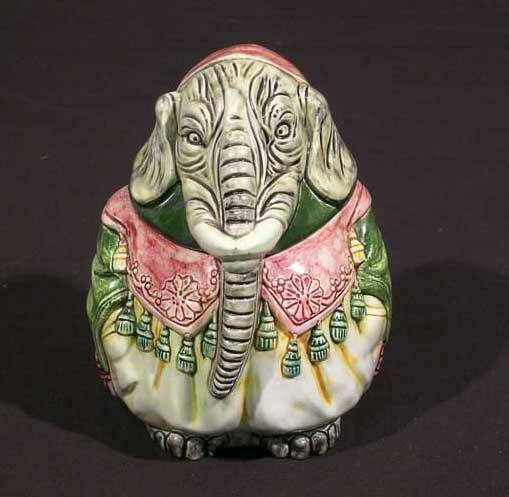 Other majolica elephants pale in comparison to the Goode elephants but for the majority of us these smaller elephants will do just fine. 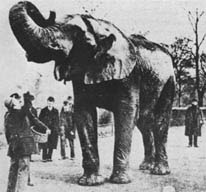 The most famous elephant of the 19th Century was, of course, Jumbo, that wild African elephant that started its life in the Sudan and traveled extensively through Paris, London and finally the home of P.T. Barnum, New York City. 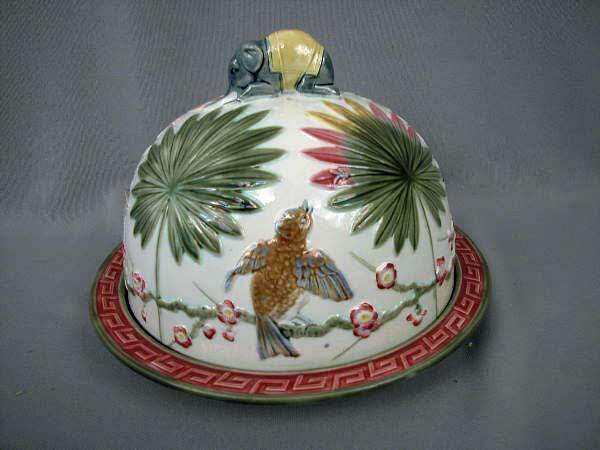 It was no doubt that while in London between 1861 and 1881, he caught the eye of majolica makers, a prodigious period of majolica manufacture. A mania for elephants erupted and soon pachyderms were appearing everywhere in majolica, from teapots to garden seats; wall pockets to bottles; and jardinieres to humidors. One even came with a clock! Actually, I have an amusing story to tell about this last little fellow if you'll pardon the aside. Years ago I purchased this humidor for $200 from a dealer in the South. 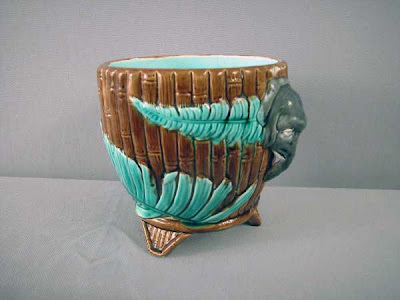 I took it to an antique show in Pennsylvania where I sold it before the show opened for $250. The dealer who purchased it then sold it to another dealer who then sold it again, each time escalating the price. By the time the show opened it had changed hands four times and was selling for $850! If that little story proves anything it's that the elephant's popularity has endured all these years later and has proven an admired symbol of the Republican party. Next time, we'll take a look at the Democratic donkey. The latest edition of our book is available for purchase from Amazon, Barnes & Noble and fine book dealers everywhere. While many of the images on this blog are from my own archive, the majority of the images posted here are from the internet. I make no claim to owning them or having copyright possession with the exception of those clearly marked. A blog such as this cannot exist without the assistance of others. It depends on the good will of dealers and collectors alike to advance the appreciation of majolica. Anyone whose images are posted here, copyrighted or not, who want their images removed may have them immediately removed at their request. In addition the opinions expressed in this blog are those of the author alone based on their own experience. "Copyright Disclaimer Under Section 107 of the Copyright Act 1976, allowance is made for "fair use" for purposes such as criticism, comment, reporting, teaching, scholarship, or research. Fair use is a use permitted by copyright statute that might otherwise be infringing. Non-profit, educational or personal use tips the balance in favor of fair use."